A dozen Township police officers will join thousands of others across the country in May to ride in memory of their slain brothers and sisters in the line of duty. 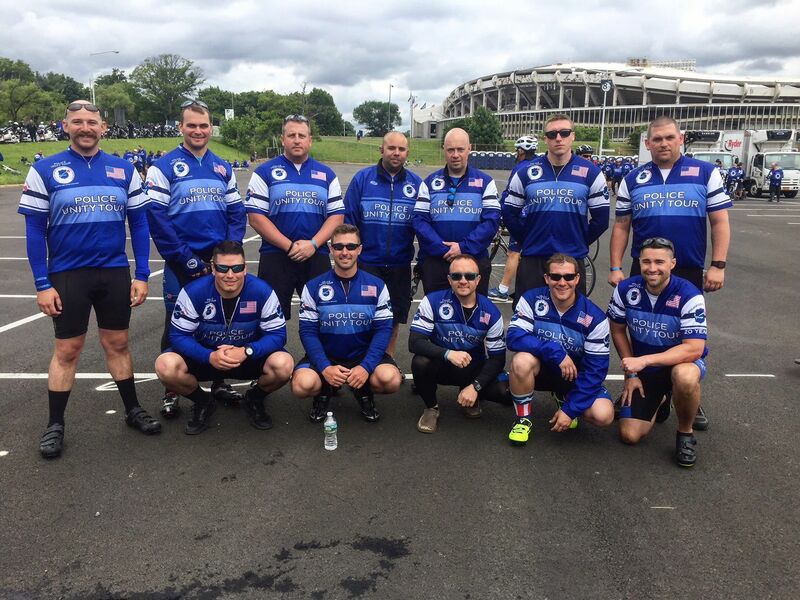 The Monroe riders will join hundreds of others from Middlesex, Monmouth and Ocean counties for the nationwide remembrance effort that also raises funds for the National Law Enforcement Officer’s Memorial and Museum. “It’s a great way to keep their memory alive,” said Officer Wesley Panckeri, Monroe PBA Local 255 team captain, on Thursday. The event, started 20 years ago in New Jersey, enters its fourth year in Monroe. Collectively, the nationwide chapters that comprise the Unity Tour have raised more than $20 million to fund the memorial museum. In 2017, 2,500 members raised $2.6 million. The Monroe program has grown over the years. From its initial five members, there are now 12 riders. But, with that also comes greater need for fundraising. Panckeri said for each participating officer, the Monroe team needs to raise a little more than $2,000. So far, he said, the team is approximately $10,000 short of its fund-raising goal, but gives credit to the community for supporting the mission. The 12-member team has held several fundraising events within the community. One of the most recent efforts was at Wine & Design, a place that combines wine and painting into one experience. In April, the team will hold its third annual Beer, Spirits and Wine Tasting at the Ramada Plaza Hotel from 7-11 p.m. The event is open to the public. Tickets are $60 per person. Buy Rite Liquor and its vendors will provide the selections. “We would love to see the residents come out to show their support,” Panckeri said. In 2008, Perth Amboy police officer Thomas Raji was killed when his police vehicle was broadsided. Woodbridge resident Sean McGurik was sentenced to eight years in prison. Raji’s death meant he would never meet his unborn daughter, Mikayla. Panckeri met Mikayla a few years ago at an event, and decided it was time to do something. “Other towns have been doing [the unity ride] so why not us,” he said. “[Raji] was killed by a drunk driver while working. … So now we have 12 riders and our own bikes,” which will start the trek to Washington D.C. in mid-May. When: Saturday, April 28, 7-11 p.m.